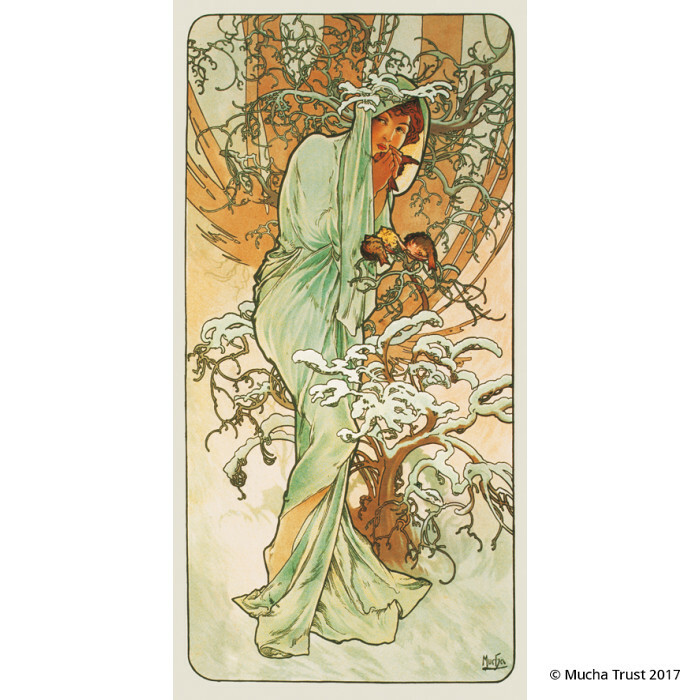 Draped from head to toe in a pale green cape, the figure of Winter stands next to a snow-capped bush to shelter from the cold. 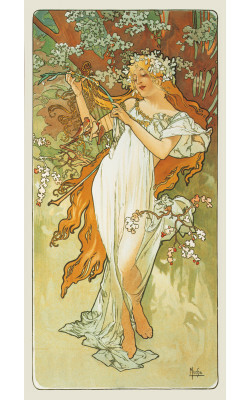 In her hands she warms a small bird as three other birds look on in envy. 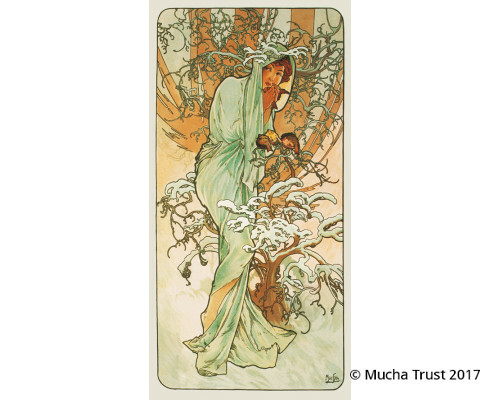 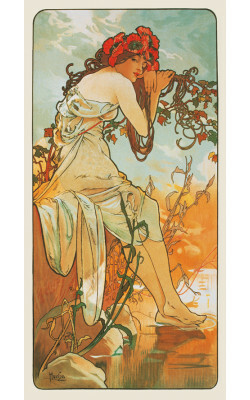 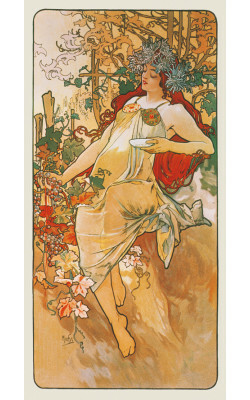 The simplicity and flatness of the composition is reminiscent of traditional Japanese woodcuts and reveals Mucha's inspiration by Japanese art. 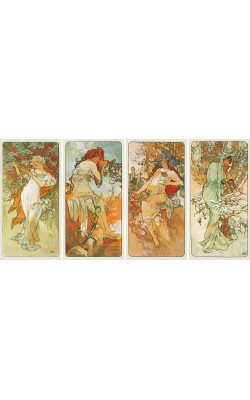 Products in the same series - "The Four Seasons"